Why would you want to use BBQ marinades with your recipes, and when is their use appropriate? Does marinating meat make it more tender? What should you never do with a marinade? Read on and get the lowdown on this viscous flavoring liquid. Most anything with flavor is fair game as a marinade ingredient. BBQ Marinades, The Basics - How Do They Work? How does a marinade work? The acidic portion helps to soften the proteins to some extent. 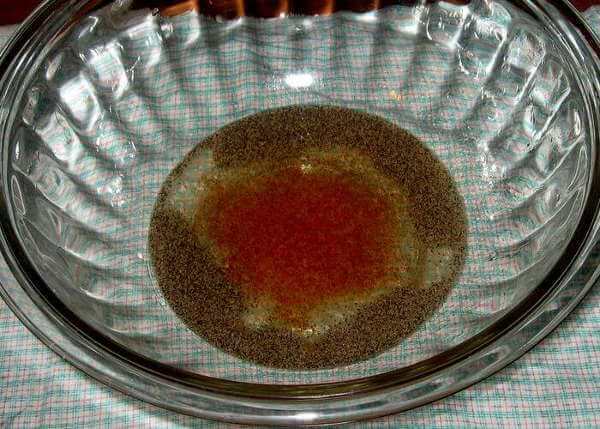 A common misconception is that marinades tenderize meat. They don't, but they will break down some of the proteins at the surface. When this happens, flavorings and oil are more easily absorbed, adding taste and increasing moistness. 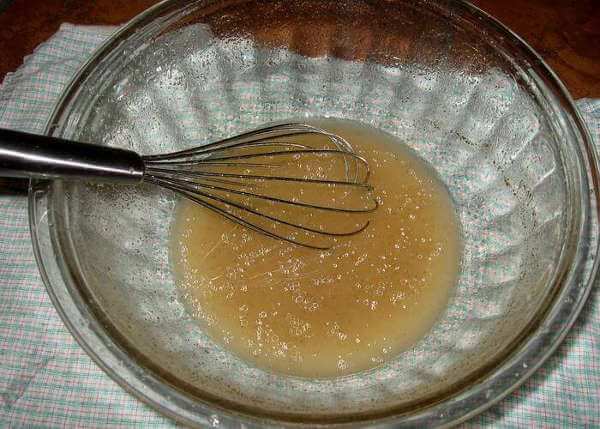 For a marinade to do its job, the oil has to be well incorporated with the other liquids, and that's where a wire whisk or your handy dandy blender come into play. Always add the oil last, pouring it in slowly while whisking or blending. The ingredients will emulsify. Otherwise, the oil will float on top, and the marinade won't work as it should. In a nutshell, fish requires less marinating time than other meats. Beef can handle more marinating than pork and chicken. Less marinating time means less flavor. But marinate for too long, and the proteins at the meat's surface will break down, negatively affecting the taste and texture. Most marinades can be used as basting liquids, brushed on as the food's cooking. Some would even make good sauces to use with the food when served. 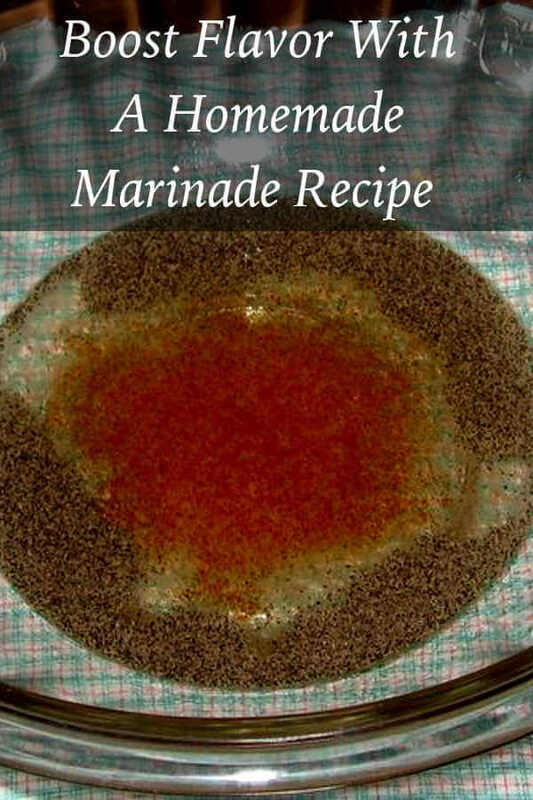 If you plan to use marinade as a baste or sauce, don't use used marinade. To prevent the spread of bacteria, reserve part of the marinade for basting or sauce before the meat goes in. Here's where you start combining all of the marinade ingredients, except the oil. Go ahead and dump in the spices and herbs, the vinegar, fruit juice, salt and pepper. Like I said, everything EXCEPT the oil. 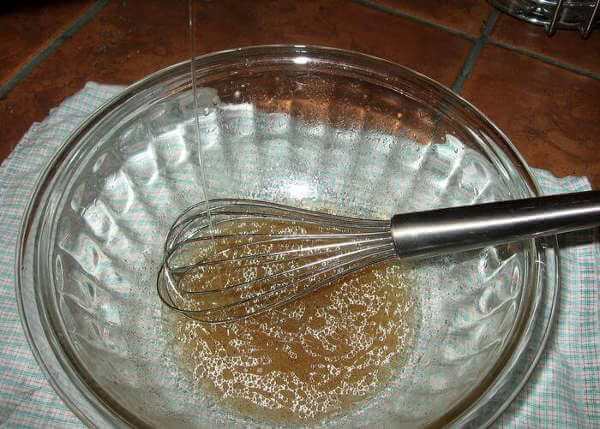 Using a good quality whisk, mix the added ingredients well. 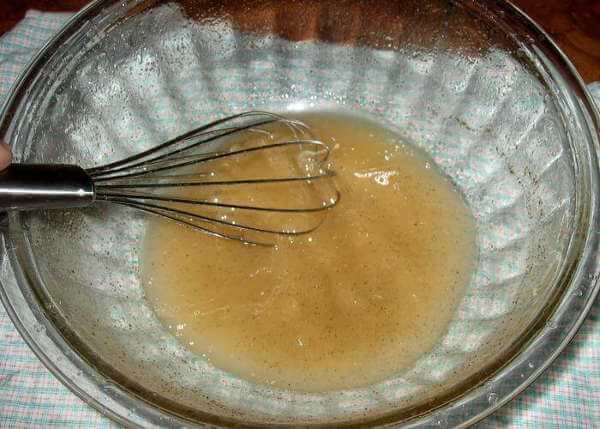 Once combined, continue whisking and start to slowly pour in the oil. The marinade will begin to emulsify. 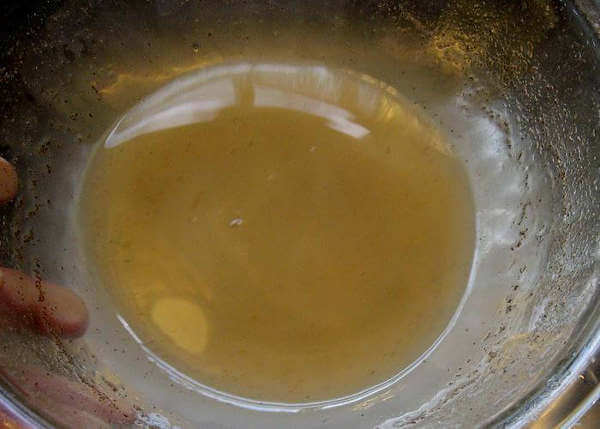 Continue pouring in the oil and whisking until all of the oil has been added to the bowl. The marinade is starting to come together, though you can still see small globules of oil floating on the top. You gotta keep up the whisking action until all the ingredients come together. It may take a few minutes, depending on the ingredients used and ratio of oil to the other liquids. This is what you're looking for. Once the marinade is completely emulsified, it looks smooth and velvety, with no little drops of oil floating on the surface. It's ready to use on the meat now, but don't wait too long or it will start to separate, and the oil will rise back to the top. Tri Tip Marinade - How appropriate! A trio of tri tip marinades, one with garlic, one with wine, and another one, straight from Tonk. Chardonnay Salmon Marinade - Smoked salmon is nice, especially when marinated in a simple mix of wine, dill and oil. The subtle flavors of the marinade let the salmon shine through. Brisket Marinade Recipes - A pair of bbq marinades for smoked brisket...one with orange juice, another with hearty imported Beck's Lager. London Broil Marinade - Marinated flank steak is cooked to medium rare, and sliced thinly for a tasty beef experience. Guinness Brisket Marinade - Made with Guinness Extra Stout, this recipe for brisket marinade is paired up with a tasty dipping sauce recipe. Marinated Rib Eye Steaks - Add loads of flavor to your rib eyes with this rich marinade that includes Johnny's Seasoning Salt, A-1 Steak Sauce and extra virgin olive oil. Grilled Shrimp Marinade - Lemon, lime and fresh herbs combine to make a marinade that gives shrimp out of this world flavor!